The Unlikely Pilgrimage Of Harold Fry NPR coverage of The Unlikely Pilgrimage of Harold Fry by Rachel Joyce. News, author interviews, critics' picks and more. For recently retired Harold Fry, little differentiates one day from the next. Then one morning a letter arrives from a woman he hasn't heard from in 20 years: Queenie Hennessy is in hospice and is writing to say goodbye. With no warning or planning, Harold heads to Queenie's bedside, walking all the way from the very southernmost part of England to the very northernmost part. 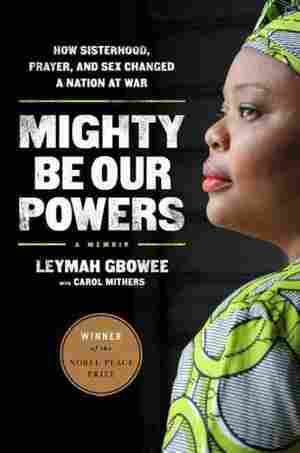 March 25, 2013  In softcover nonfiction, Cheryl Strayed recounts her solo trek on the Pacific Crest Trail, Blaine Harden unlocks the secrets of a North Korean prison camp, and Leymah Gbowee reflects on becoming a Liberian peace activist. 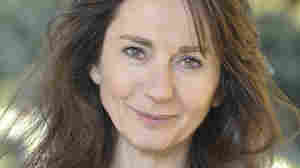 In fiction, Rachel Joyce's tale of an unexpected journey arrives in paperback. July 22, 2012  Harold Fry is retired and sedentary — and in no way the sort of person who'd spontaneously decide to walk the length of England to visit a dying friend. Rachel Joyce's new novel, The Unlikely Pilgrimage of Harold Fry, follows Fry as he does just that — and finds emotional awakening along the way. The letter that would change everything arrived on a Tuesday. It was an ordinary morning in mid-April that smelled of clean washing and grass cuttings. Harold Fry sat at the breakfast table, freshly shaved, in a clean shirt and tie, with a slice of toast that he wasn't eating. He gazed beyond the kitchen window at the clipped lawn, which was spiked in the middle by Maureen's telescopic washing line, and trapped on all three sides by the neighbors' stockade fencing. "Harold!" called Maureen above the vacuum cleaner. "Post!" He thought he might like to go out, but the only thing to do was mow the lawn and he had done that yesterday. The vacuum tumbled into silence, and his wife appeared, looking cross, with a letter. She sat opposite Harold. Maureen was a slight woman with a cap of silver hair and a brisk walk. When they first met, nothing had pleased him more than to make her laugh. To watch her neat frame collapse into unruly happiness. "It's for you," she said. He didn't know what she meant until she slid an envelope across the table, and stopped it just short of Harold's elbow. They both looked at the letter as if they had never seen one before. It was pink. "The postmark says Berwick-upon-Tweed." He didn't know anyone in Berwick. He didn't know many people anywhere. "Maybe it's a mistake." "I think not. They don't get something like a postmark wrong." She took toast from the rack. She liked it cold and crisp. Harold studied the mysterious envelope. Its pink was not the color of the bathroom suite, or the matching towels and fluffed cover for the toilet seat. That was a vivid shade that made Harold feel he shouldn't be there. But this was delicate. A Turkish Delight pink. His name and address were scribbled in ballpoint, the clumsy letters collapsing into one another as if a child had dashed them off in a hurry: Mr. H. Fry, 13 Fossebridge Road, Kingsbridge, South Hams. He didn't recognize the handwriting. "Well?" said Maureen, passing a knife. He held it to the corner of the envelope, and tugged it through the fold. "Careful," she warned. He could feel her eyes on him as he eased out the letter, and prodded back his reading glasses. The page was typed, and addressed from a place he didn't know: St. Bernadine's Hospice. Dear Harold, This may come to you as some surprise. His eyes ran to the bottom of the page. "Good lord. It's from Queenie Hennessy." Maureen speared a nugget of butter with her knife and flattened it the length of her toast. "Queenie who?" "She worked at the brewery. Years ago. Don't you remember?" Maureen shrugged. "I don't see why I should. I don't know why I'd remember someone from years ago. Could you pass the jam?" "She was in finances. She was very good." "That's the marmalade, Harold. Jam is red. If you look at things before you pick them up, you'll find it helps." Harold passed her what she needed and returned to his letter. Beautifully set out, of course; nothing like the muddled writing on the envelope. Then he smiled, remembering this was how it always was with Queenie: everything she did so precise you couldn't fault it. "She remembers you. She sends her regards." Maureen's mouth pinched into a bead. "A chap on the radio was saying the French want our bread. They can't get it sliced in France. They come over here and they buy it all up. The chap said there might be a shortage by summer." She paused. "Harold? Is something the matter?" He said nothing. He drew up tall with his lips parted, his face bleached. His voice, when at last it came, was small and far away. "It's — cancer. Queenie is writing to say goodbye." He fumbled for more words but there weren't any. Tugging a handkerchief from his trouser pocket, Harold blew his nose. "I um. Gosh." Tears crammed his eyes. Moments passed; maybe minutes. Maureen gave a swallow that smacked the silence. "I'm sorry," she said. He nodded. He ought to look up, but he couldn't. "It's a nice morning," she began again. "Why don't you fetch out the patio chairs?" But he sat, not moving, not speaking, until she lifted the dirty plates. Moments later the vacuum cleaner took up from the hall. Harold felt winded. If he moved so much as a limb, a muscle, he was afraid it would trigger an abundance of feeling he was doing his best to contain. Why had he let twenty years pass without trying to find Queenie Hennessy? A picture came of the small, dark-haired woman with whom he had worked all that time ago, and it seemed inconceivable that she was — what? Sixty? And dying of cancer in Berwick. Of all the places, he thought; he'd never traveled so far north. He glanced out at the garden and saw a ribbon of plastic caught in the laurel hedging, flapping up and down, but never pulling free. He tucked Queenie's letter into his pocket, patted it twice for safekeeping, and rose to his feet. Upstairs Maureen shut the door of David's room quietly and stood a moment, breathing him in. She pulled open his blue curtains that she closed every night, and checked that there was no dust where the hem of the net drapes met the windowsill. She polished the silver frame of his Cambridge portrait, and the black-and-white baby photograph beside it. She kept the room clean because she was waiting for David to come back, and she never knew when that would be. A part of her was always waiting. Men had no idea what it was like to be a mother. The ache of loving a child, even when he had moved on. She thought of Harold downstairs, with his pink letter, and wished she could talk to their son. Maureen left the room as softly as she had entered it, and went to strip the beds. Harold Fry took several sheets of Basildon Bond from the sideboard drawer and one of Maureen's rollerball pens. What did you say to a dying woman with cancer? He wanted her to know how sorry he felt, but it was wrong to put In Sympathy because that was what the cards in the shops said after, as it were, the event; and anyway it sounded formal, as if he didn't really care. He tried Dear Miss Hennessy, I sincerely hope your condition improves, but when he put down the pen to inspect his message, it seemed both stiff and unlikely. He crumpled the paper into a ball and tried again. He had never been good at expressing himself. What he felt was so big it was difficult to find the words, and even if he could, it was hardly appropriate to write them to someone he had not contacted in twenty years. Had the shoe been on the other foot, Queenie would have known what to do. "Harold?" Maureen's voice took him by surprise. He thought she was upstairs, polishing something, or speaking to David. She had her rubber gloves on. "I'm writing Queenie a note." "A note?" She often repeated what he said. "Yes. Would you like to sign?" "I think not. It would hardly be appropriate to sign a note to someone I don't know." It was time to stop worrying about expressing anything beautifully. He would simply have to set down the words in his head: Dear Queenie, Thank you for your letter. I am very sorry. Yours Best wishes — Harold (Fry). It was limp, but there it was. Sliding the letter into an envelope, he sealed it quickly, and copied the address of St. Bernadine's Hospice onto the front. "I'll nip to the postbox." It was past eleven o'clock. He lifted his waterproof jacket from the peg where Maureen liked him to hang it. At the door, the smell of warmth and salt air rushed at his nose, but his wife was at his side before his left foot was over the threshold. "I'm only going to the end of the road." She kept on looking up at him, with her moss-green eyes and her fragile chin, and he wished he knew what to say but he didn't; at least not in a way that would make any difference. He longed to touch her like in the old days, to lower his head on her shoulder and rest there. "Cheerio, Maureen." He shut the front door between them, taking care not to let it slam. Built on a hill above Kingsbridge, the houses of Fossebridge Road enjoyed what estate agents called an elevated position, with far-reaching views over the town and countryside. Their front gardens, however, sloped at a precarious angle toward the pavement below, and plants wrapped themselves round bamboo stakes as if hanging on for dear life. Harold strode down the steep concrete path a little faster than he might have wished and noticed five new dandelions. Maybe this afternoon he would get out the Roundup. It would be something. Spotting Harold, the next-door neighbor waved and steered his way toward the adjoining fence. Rex was a short man with tidy feet at the bottom, a small head at the top, and a very round body in the middle, causing Harold to fear sometimes that if he fell there would be no stopping him. He would roll down the hill like a barrel. Rex had been widowed six months ago, at about the time of Harold's retirement. Since Elizabeth's death, he liked to talk about how hard life was. He liked to talk about it at great length. "The least you can do is listen," Maureen said, although Harold wasn't sure if she meant "you" in the general sense or the particular. "Off for a walk?" said Rex. Harold attempted a jocular tone that would act, he hoped, as an intimation that now was not the time to stop. "Need anything posted, old chap?" "Nobody writes to me. Since Elizabeth passed away, I only get circulars." Rex gazed into the middle distance and Harold recognized at once the direction the conversation was heading. He threw a look upward; puffs of cloud sat on a tissue-paper sky. "Jolly nice day." "Jolly nice," said Rex. There was a pause and Rex poured a sigh into it. "Elizabeth liked the sun." Another pause. "Good day for mowing, Rex." "Very good, Harold. Do you compost your grass cuttings? Or do you mulch?" "I find mulching leaves a mess that sticks to my feet. Maureen doesn't like it when I tread things into the house." Harold glanced at his yachting shoes and wondered why people wore them when they had no intention of sailing. "Well. Must get on. Catch the midday collection." Wagging his envelope, Harold turned toward the pavement. For the first time in his life, it was a disappointment to find that the postbox cropped up sooner than expected. Harold tried to cross the road to avoid it, but there it was, waiting for him on the corner of Fossebridge Road. He lifted his letter for Queenie to the slot, and stopped. He looked back at the short distance his feet had traveled. The detached houses were stuccoed and washed in shades of yellow, salmon, and blue. Some still had their pointed fifties roofs with decorative beams in the shape of a half sun; others had slate-clad loft extensions; one had been completely rebuilt in the style of a Swiss chalet. Harold and Maureen had moved here forty-five years ago, just after they were married. It took all his savings to pay the deposit; there had been nothing left for curtains or furniture. They had kept themselves apart from others, and over time neighbors had come and gone, while only Harold and Maureen remained. There had once been vegetable beds, and an ornamental pond. She made chutneys every summer, and David kept goldfish. Behind the house there had been a potting shed that smelled of fertilizer, with high hooks for hanging tools, and coils of twine and rope. But these things too were long since gone. Even their son's school, which had stood a stone's throw from his bedroom window, was bulldozed now and replaced with fifty affordable homes in bright primary colors and street lighting in the style of Georgian gas lamps. Harold thought of the words he had written to Queenie, and their inadequacy shamed him. He pictured himself returning home, and Maureen calling David, and life being exactly the same except for Queenie dying in Berwick, and he was overcome. The letter rested on the dark mouth of the postbox. He couldn't let it go. "After all," he said out loud, though nobody was looking, "it's a nice day." He hadn't anything else to do. He might as well walk to the next one. He turned the corner of Fossebridge Road before he could change his mind. It was not like Harold to make a snap decision. He saw that. Since his retirement, days went by and nothing changed; only his waist thickened, and he lost more hair. He slept poorly at night, and sometimes he did not sleep at all. Yet, arriving more promptly than he anticipated at a postbox, he paused again. He had started something and he didn't know what it was, but now that he was doing it, he wasn't ready to finish. Beads of perspiration sprouted over his forehead; his blood throbbed with anticipation. If he took his letter to the post office on Fore Street, it would be guaranteed next day delivery. The sun pressed warm on the back of his head and shoulders as he strolled down the avenues of new housing. Harold glanced in at people's windows, and sometimes they were empty, and sometimes people were staring right back at him and he felt obliged to rush on. Sometimes, though, there was an object that he didn't expect; a porcelain figure, or a vase, and even a tuba. The tender pieces of themselves that people staked as boundaries against the outside world. He tried to visualize what a passerby would learn about himself and Maureen from the windows of 13 Fossebridge Road, before he realized it would be not very much, on account of the net curtains. He headed for the quayside, with the muscles twitching in his thighs. The tide was out and dinghies lolled in a moonscape of black mud, needing paint. Harold hobbled to an empty bench, inched Queenie's letter from his pocket, and unfolded it. She remembered. After all these years. And yet he had lived out his ordinary life as if what she had done meant nothing. He hadn't tried to stop her. He hadn't followed. He hadn't even said goodbye. The sky and pavement blurred into one as fresh tears swelled his eyes. Then through them came the watery outline of a young mother and child. They seemed to be holding ice cream cones, and bore them like torches. She lifted the boy and set him down on the other end of the bench. "Lovely day," said Harold, not wanting to sound like an old man who was crying. She didn't look up, or agree. Bending over her child's fist, she licked a smooth path to stop the ice cream from running. The boy watched his mother, so still and close it was as if his face was part of hers. Harold wondered if he had ever sat by the quay eating ice cream with David. He was sure he must have done, although searching in his mind for the memory, he found it wasn't readily available. He must get on. He must post his letter. Office workers were laughing with lunchtime pints outside the Old Creek Inn, but Harold barely noticed. As he began the steep climb up Fore Street, he thought about the mother who was so absorbed in her son she saw no one else. It occurred to him it was Maureen who spoke to David and told him their news. It was Maureen who had always written Harold's name ("Dad") in the letters and cards. It was even Maureen who had found the nursing home for his father. And it raised the question — as he pushed the button at the pelican crossing — that if she was, in effect, Harold, "then who am I?" He strode past the post office without even stopping. From The Unlikely Pilgrimage of Harold Fry by Rachel Joyce. Copyright 2012 by Rachel Joyce. Excerpted by permission of Random House.